The CD-I 370 is a rebranded Goldstar GPI 1200 player, not a Philips model. I suspect that the Goldstar players do not even have an IR receiver. And if they did, it would probably not recognize the Philips-authored RC5/RC6 protocols. Note that the above is just conjecture, I have no hard data on this. 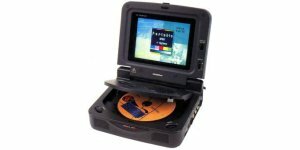 cdifan wrote: The CD-I 370 is a rebranded Goldstar GPI 1200 player, not a Philips model. I suspect that the Goldstar players do not even have an IR receiver. I own a GoldStar GPI-1100M ( basically a GPI-1200 without an LCD screen ) it has an IR receiver and it recognizes the Philips-authored RC6 protocols. I stand corrected, thanks for the info!